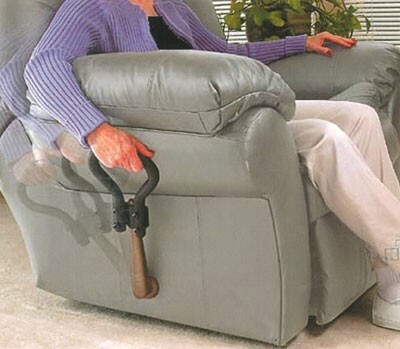 This is ElderStore's best recommendation if you are looking or a smaller, more compact reacher and one that is especially easy to operate especially for those with Arthritis or other difficulties. 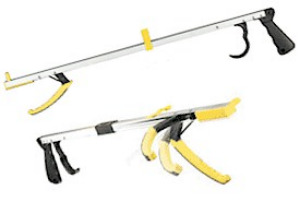 The Ergonomic Plastic Reacher is eighteen inches long with an ergonomically designed trigger and handle makes it one of the easiest reachers to use. 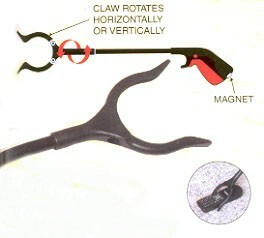 The 3.5 inch claw rotates vertically and horizontally to suit your specific needs. The claw has rubber tips for a better grip. Made of polycarbonate plastic for durability, the reacher weighs a mere four ounces. 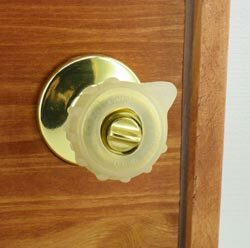 The magnet is on the handle end will assist in picking up small metal objects.